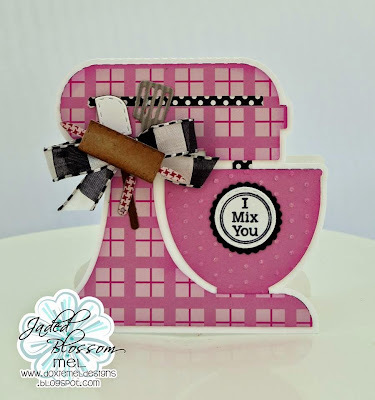 Today is my final post as the November Guest Designer for Jaded Blossom. 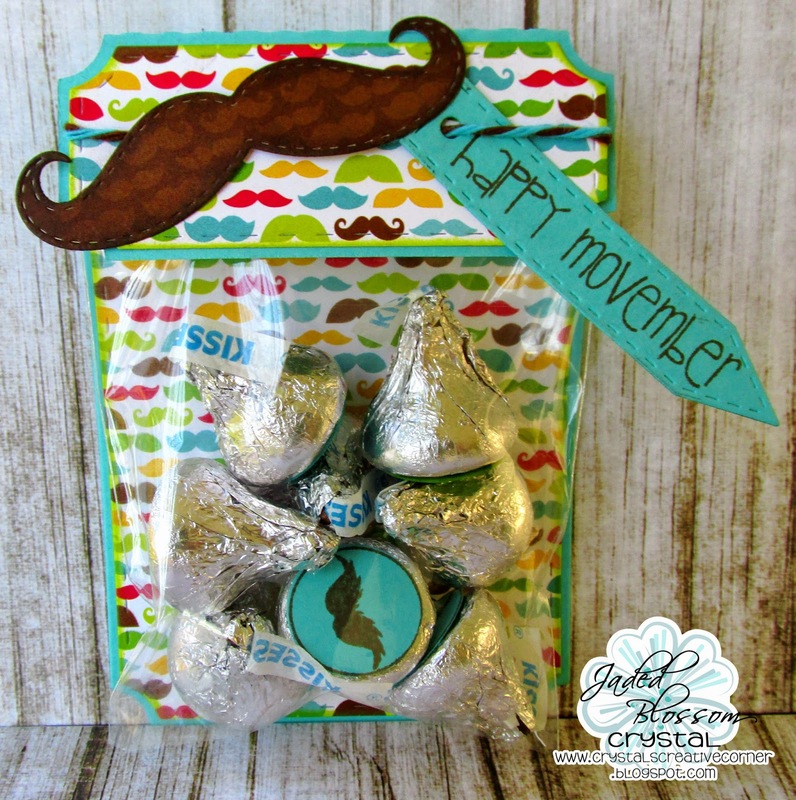 It's been so much fun getting to participate in the November Release Blog Hop and also sharing a few more of my creations with you. 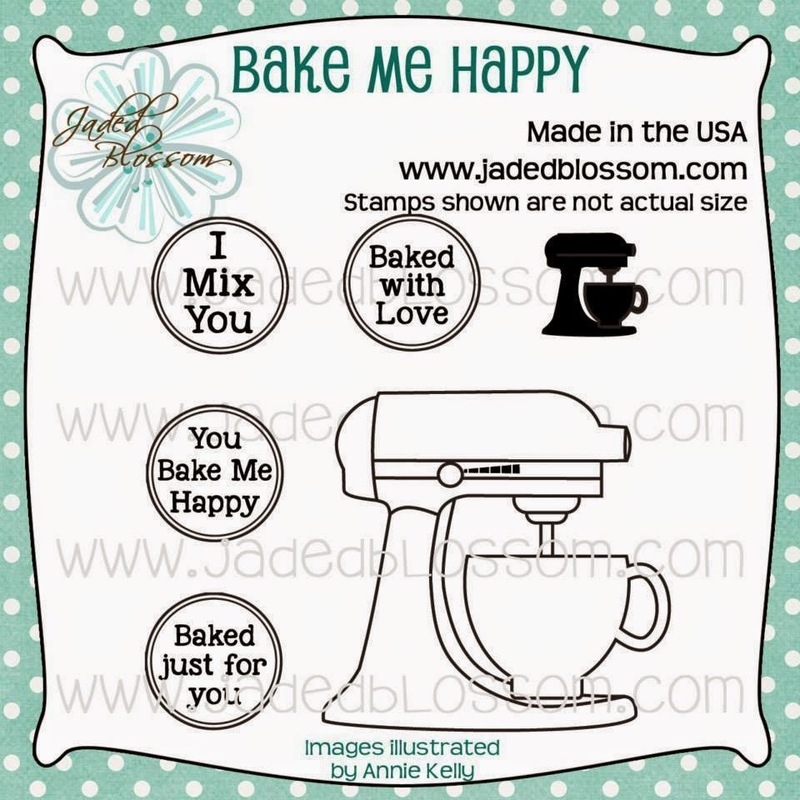 I love, love, love Jaded Blossom stamps and dies and I can't thank Candace and Michelle enough for the privilege of designing for them. 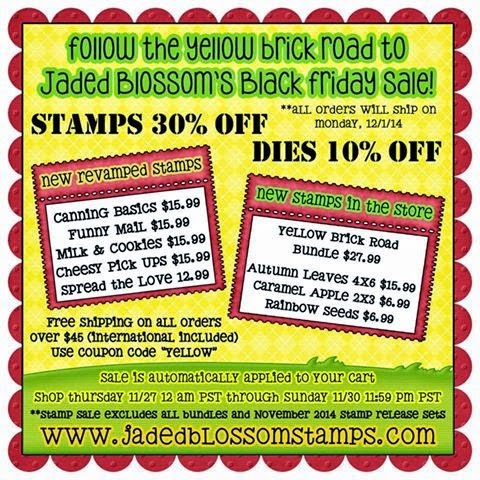 Jaded Blossom has the most perfect stamps to create treats to share with friends. I just love this sentiment from the Got Candy? set. I also a the 2x2x3 Clear box the Flag Dies set. 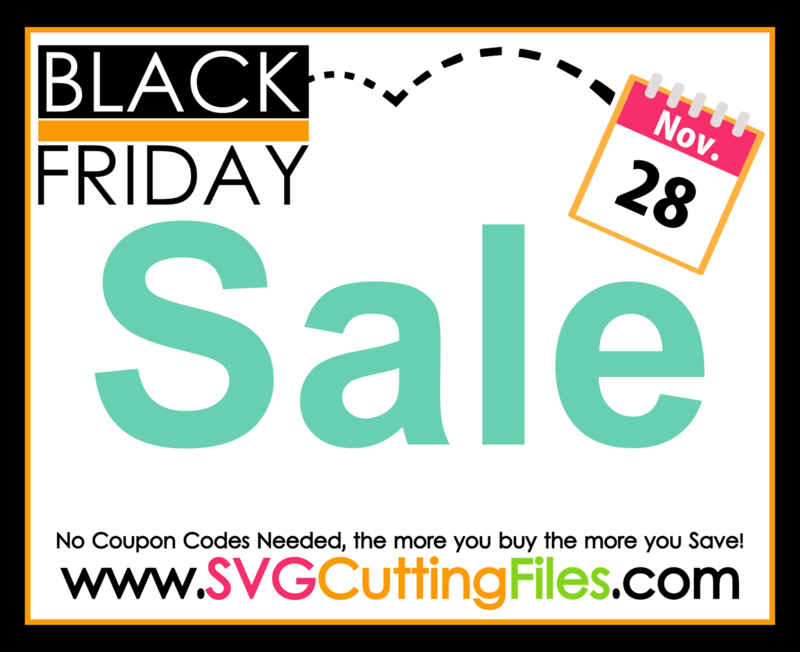 The cut file is brand new from SVG Cutting Files called Jumping Girl. 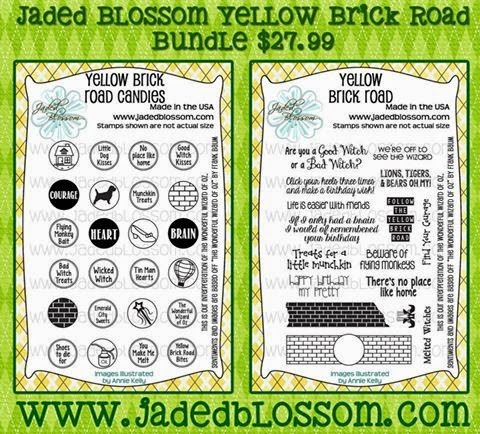 Thanks again to the Jaded Blossom team for their support, encouragement, and inspiration. 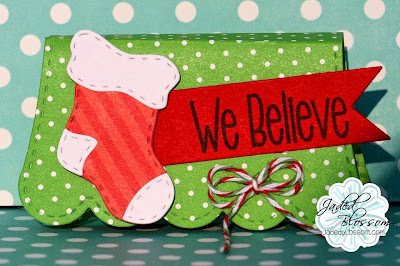 Be sure to visit the Jaded Blossom blog every day during December as there will be a different guest designer EACH DAY. Wowzsers!!! 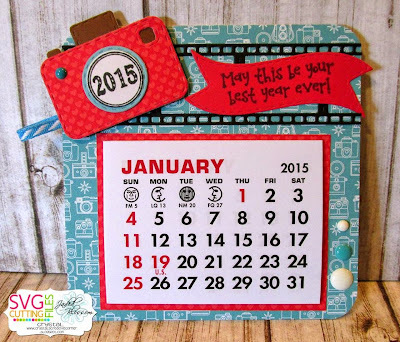 Think of all the creativity that will be shared!!! And join the amazing Jaded Blossom Garden of Creativity on Facebook. Hello everyone! 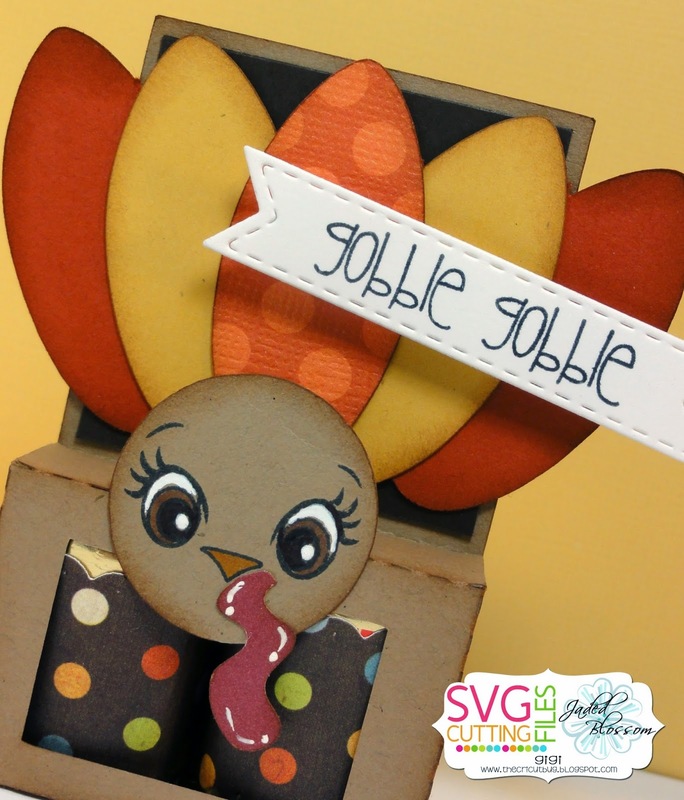 This is GiGi from The Cricut Bug and I am sharing some fun Turkey Treats! These would be such a cute addition to the table or even just to hand out to the kids on Thanksgiving. 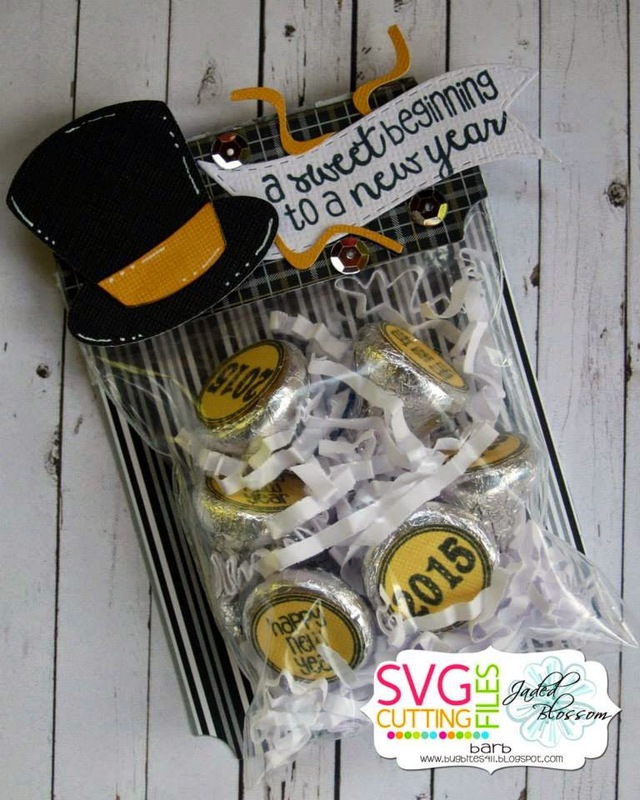 I started this project with the SVG Cutting Files Mini Nugget Platform Box. 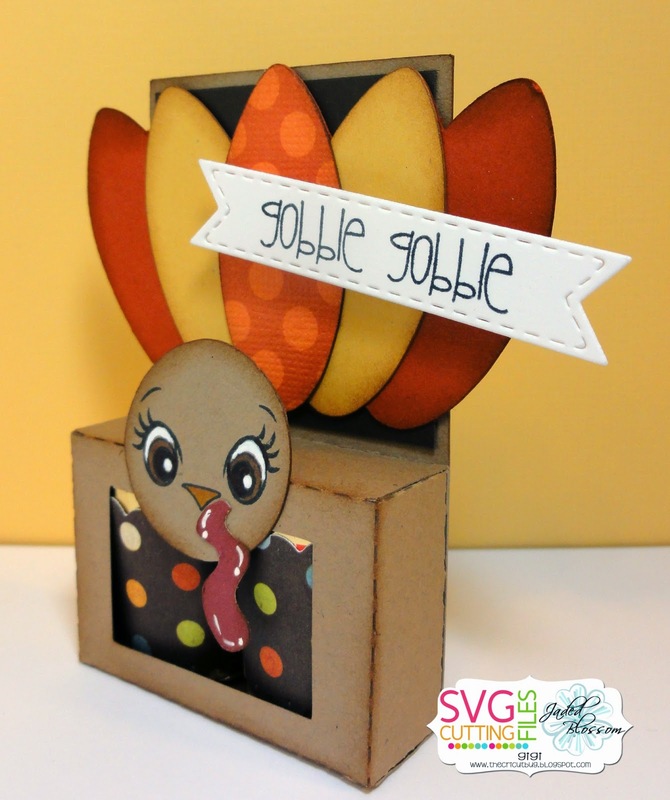 I cut it out with my Cameo along with the turkey pieces which are from the Turkey Cup Crafts for Kids freebie file. 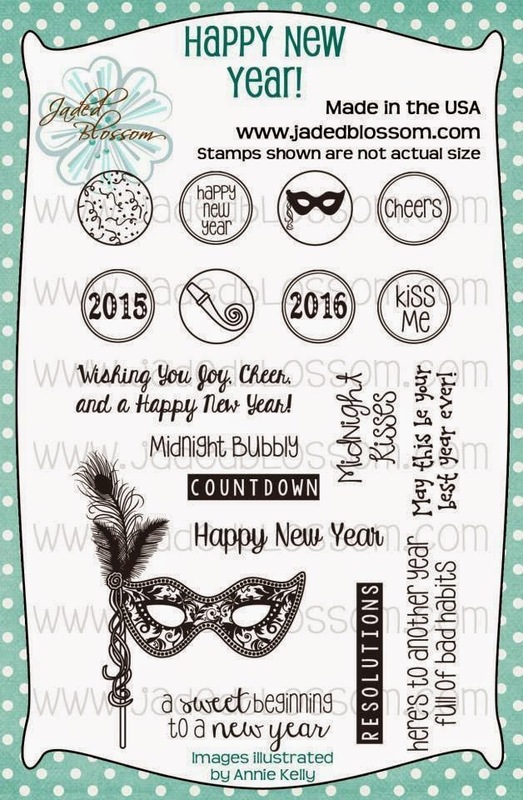 I opted to not use the face pieces and instead stamped the face with a Peachy Keen Chickie face. Instead of using a cup for my base, I used the Nugget Box and added the tail to the back and glued the head to the front. I cut the sentiment banner using the Jaded Blossom Mini Tag Dies 2 and stamped the sentiment with the Lets Talk Turkey stamp set. To finish, I added Nugget chocolates to the inside of the box. I used the Candy Wrap Dies to cut out the decorative paper wraps. I hope you all like my project and thanks for visiting! Don't forget about the AMAZING Black Friday Sale! 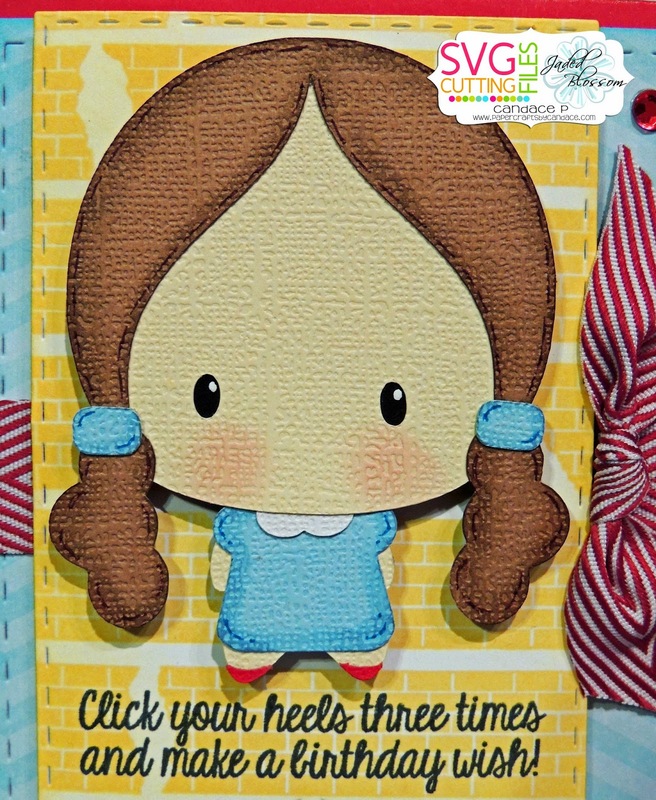 Jamie here to share a fun card with you today! 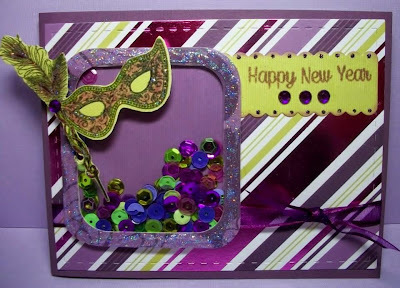 I used a bunch of dies on this card! 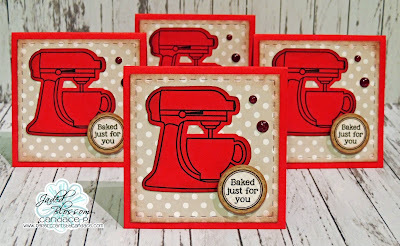 First I used the Card Mat Dies for the base, then added the Wine Tag Die. I used the new Baking Dies for the rolling pins and added some Peachy Faces. 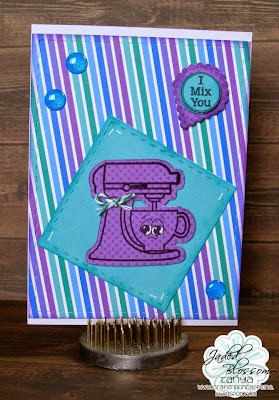 Next I stamped a sentiment from Kawaii Sentiments on a Mini Tag Die 2. 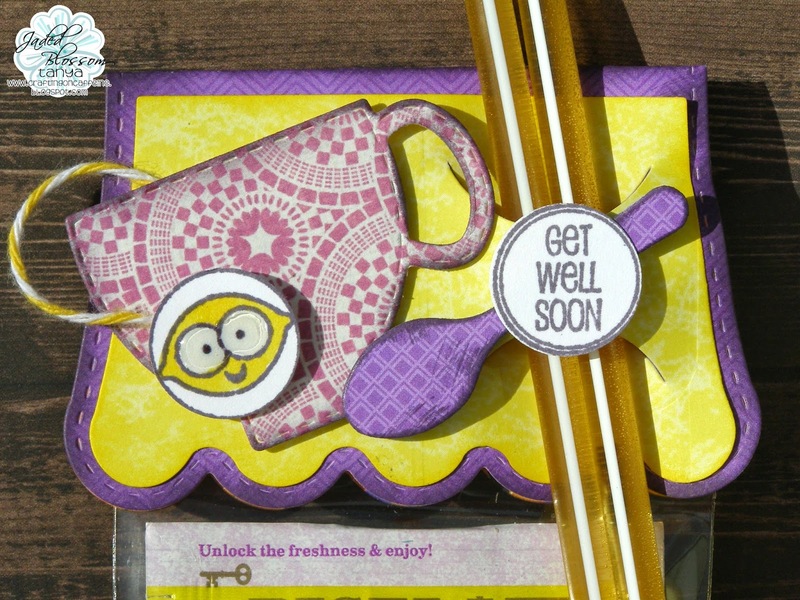 I finished off the card with some twine and enamel dots. Good Monday! Tanya from Crafting on Caffeine here today. This time of the year many people get the sniffles and/or sore throats. So I put together this little kit. 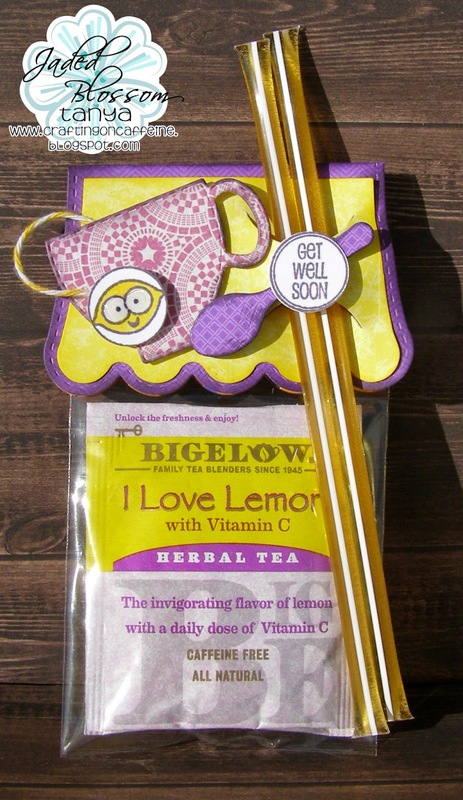 Lemon tea and honey, it always helps me when not feeling well. To make this I used the following Jaded Blossom: Baking Dies, Scallop Slider and Topper Die, Friendly Candies, Fruity Candies and 3x4 in Clear Bags. Also used Trendy Twine Lemon Tart. Thanks for stopping by today. 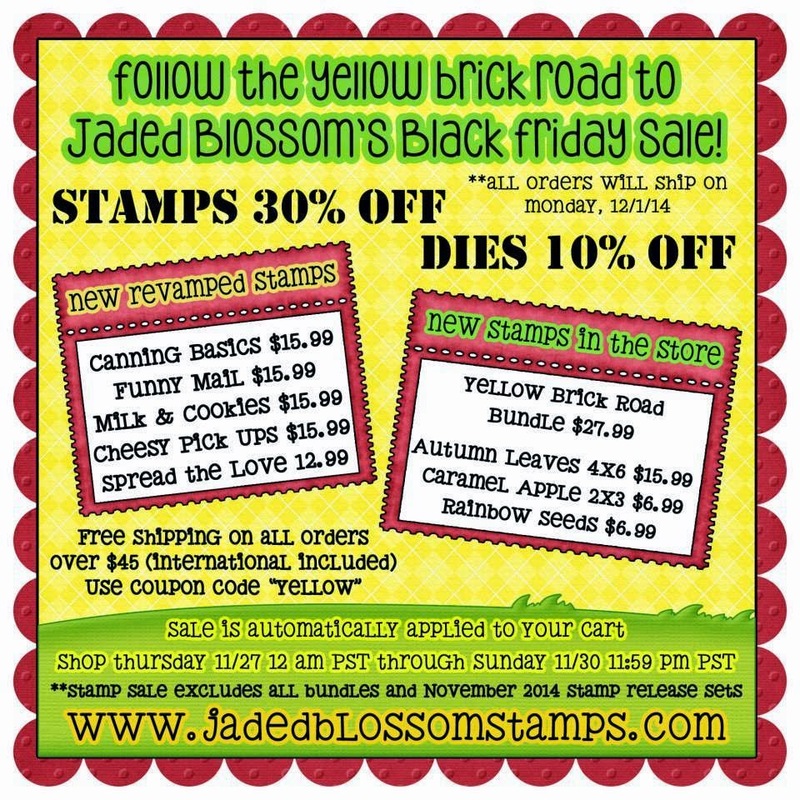 Don't forget about the Amazing Jaded Blossom Black Friday sale. And the Yellow Brick Road Hop! Have Fun and Have a very Happy Thanksgiving!!! 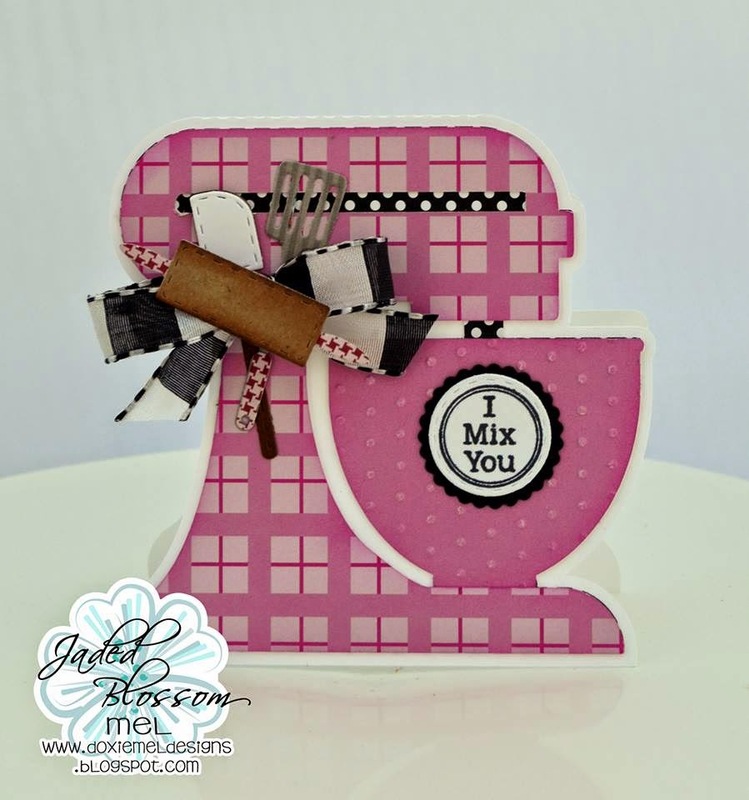 Welcome to another post as Guest Designer for Jaded Blossom. It's that time when I go into overdrive trying to get ready for the holidays. 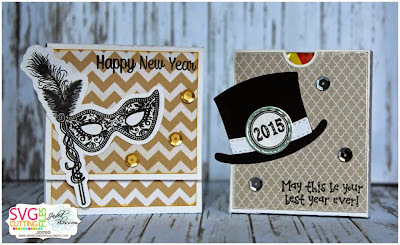 I like to get my cards out early in the month and I try to make each one different. 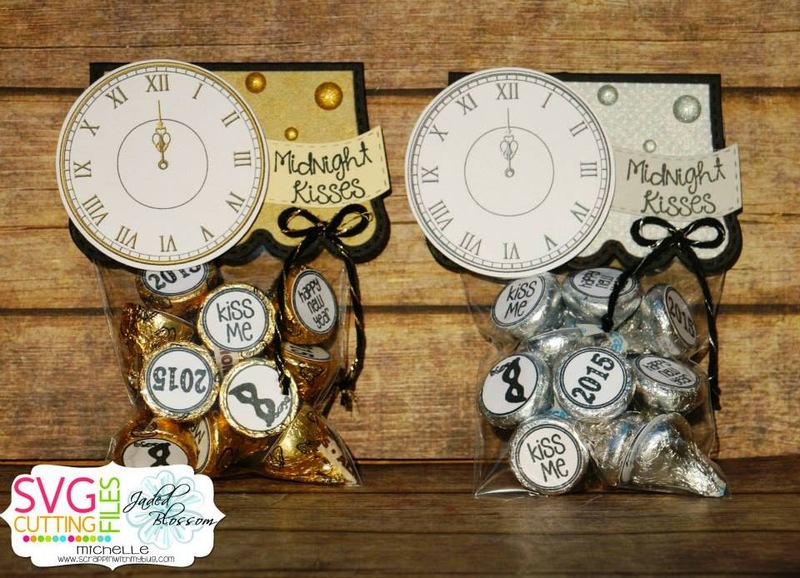 However, when the mailing list is over 60 names long and I'm a dyed in the wool procrastinator, it's time to exercise a little crafty creativity and try to do more with less, if you know what I mean. 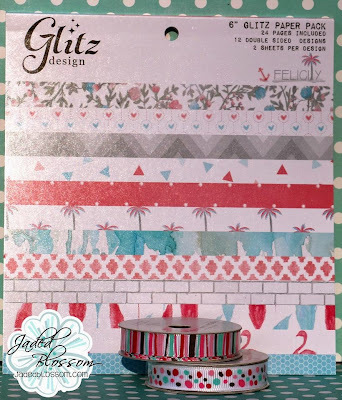 I got out two Jaded Blossom stamp sets, Winter Wishes, and Christ is Born and some Jaded Blossom dies, Layered Frame and Journal, Flag, and Mini Tag Dies 2 and got to work. All of the images were heat embossed which I think added a special touch. When you've got a lot to do in a short amount of time, Jaded Blossom comes to the rescue. Hello! Mel from Doxie Mel Designs here today. I wanted to share some treats made for Thanksgiving. 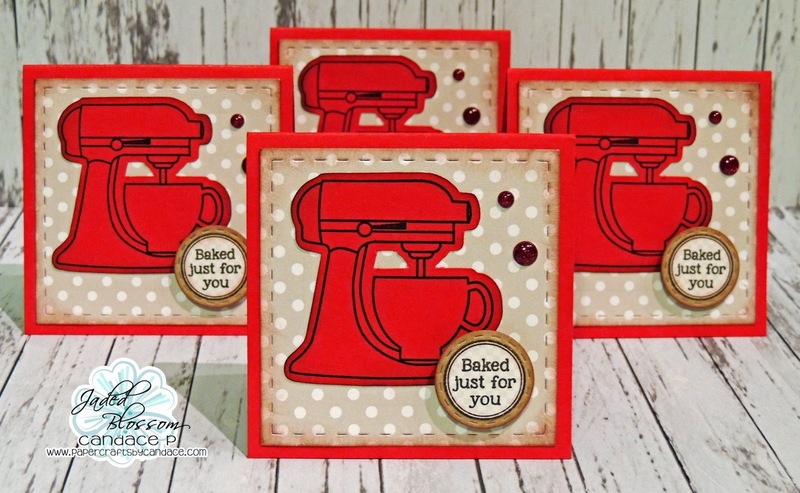 The Scallop Slider and Topper Die is used for the base of these treats. Jaded Blossom's 1 x 8 Clear Bags fit perfectly in the slider and I filled the bags with M&M candies. The pilgrim cuts are from Autumn Celebrations Cricut Cartridge. The Thanksgiving stamps are from the "Turkey Poop" stamp set. Here is a close up of two of these cuties. For a little extra detail, I punched the top of the scallop mat. 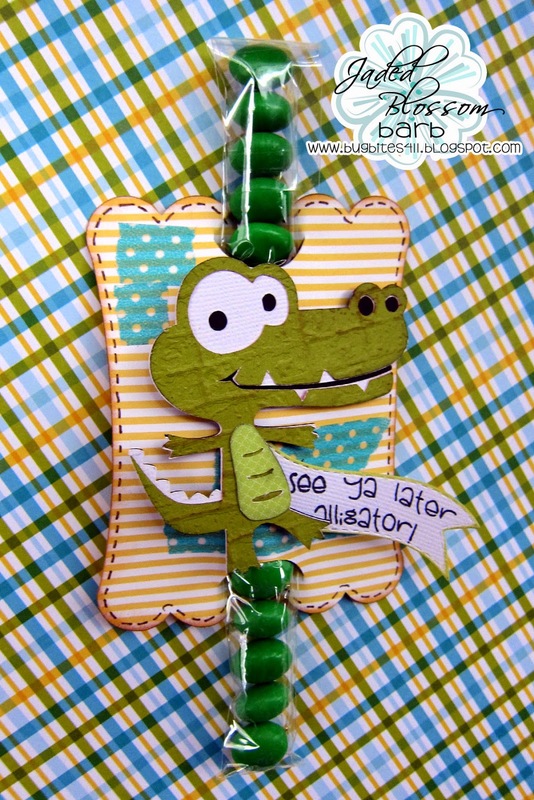 Trixie here and it's my DT day here on the Jaded Blossom Blog. 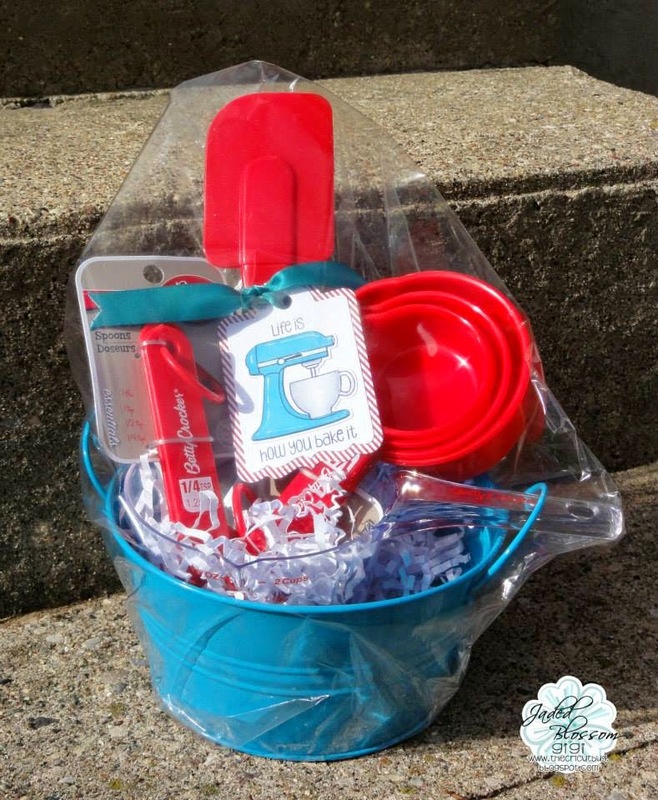 I made a quick little Birthday treat for a friends little girl. I used Jaded Blossom's Scallop Slider and Topper Die. I LOVE this Die!! So many things you can do with it. I also used Birthday Candies for the sentiment and put it on one of the Candy Charms and Banner Dies. Added a little bit of Trendy Twine on my topper. 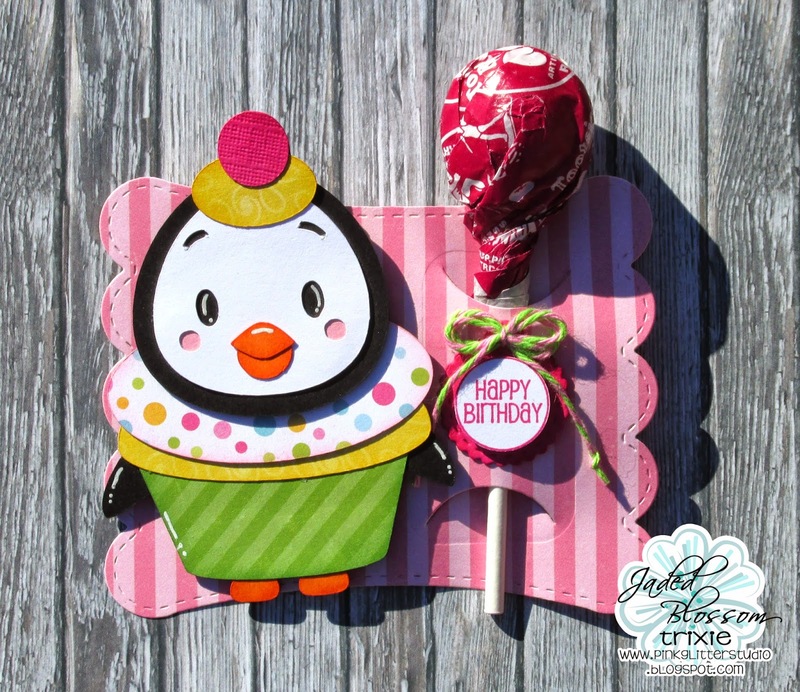 The adorable little penguin is from a SVG Cutting Files/Jaded Blossom Hop awhile back. 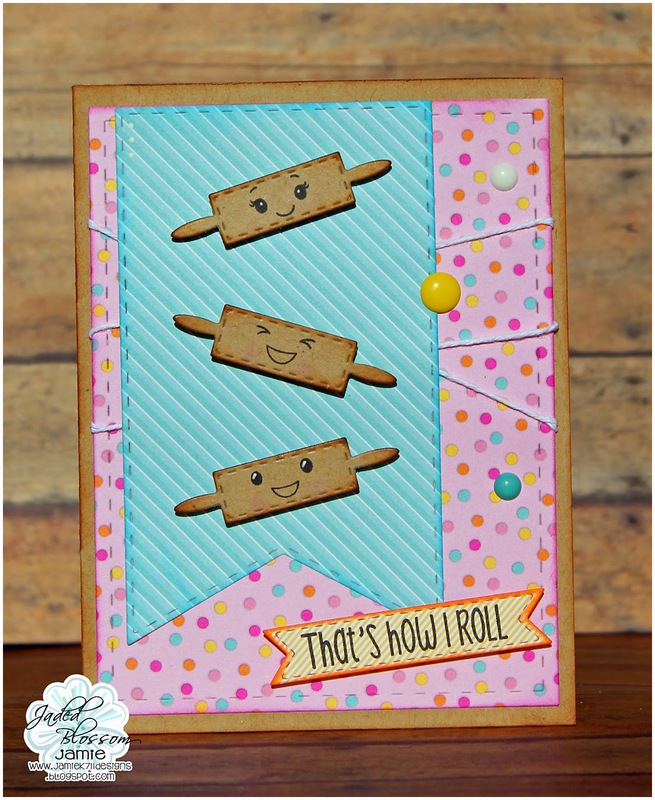 Unfortunately, it's no longer available BUT anything would look adorable on this Scallop Slider and Topper Die! It's Finally Time! You are now able to purchase our November 2014 Stamp Release. 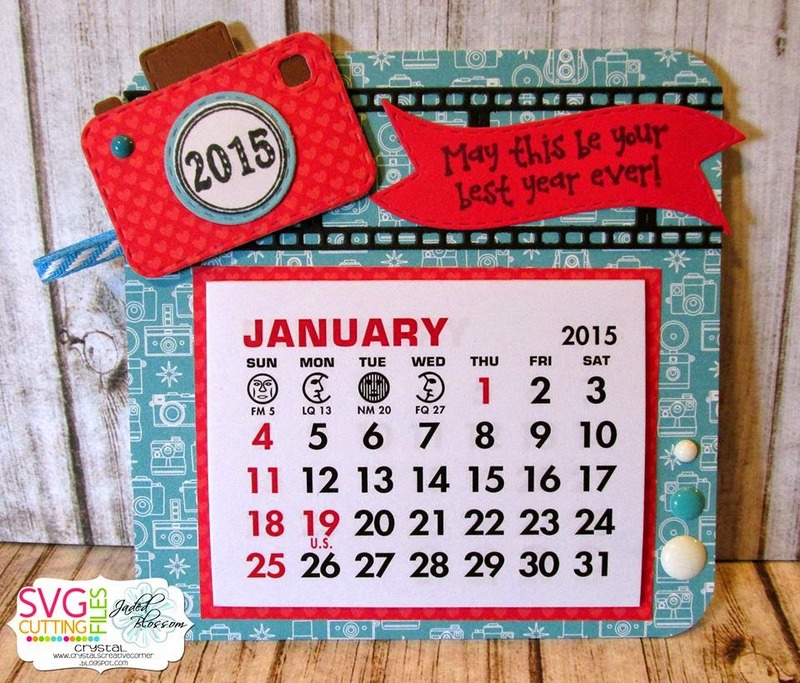 Now back to the blog hop! I hope you all enjoyed all the Project Inspirations from our Design Team, especially our new additions.